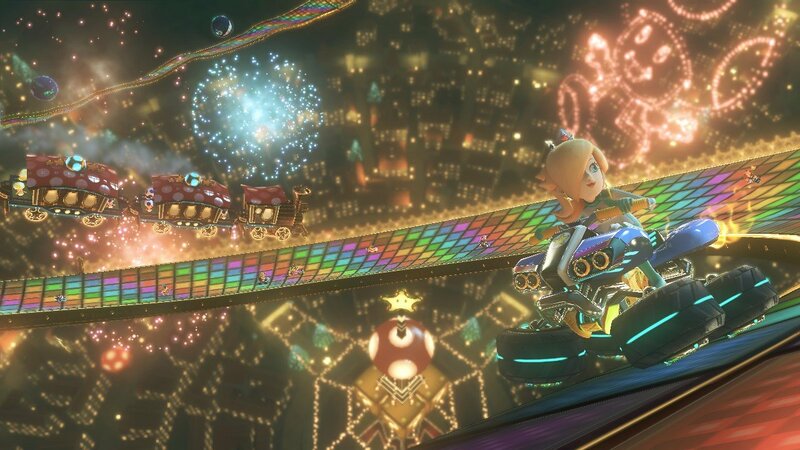 Mario Kart 8 hands-on previews are dropping all over the internet, so we’ve been hoovering up some of the more interesting facts for your convenience. 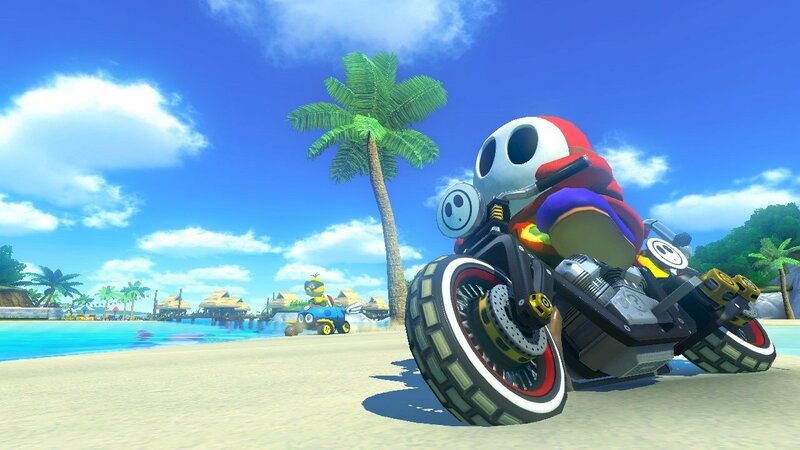 First, why not check out the brand new Mario Kart 8 trailer, which shows off new characters, items, courses and a glimpse at the Wii U version of Rainbow Road. Nintendo itself has been tweeting out a few nuggets this morning, such as a new feature that is activated while in anti-gravity sections. 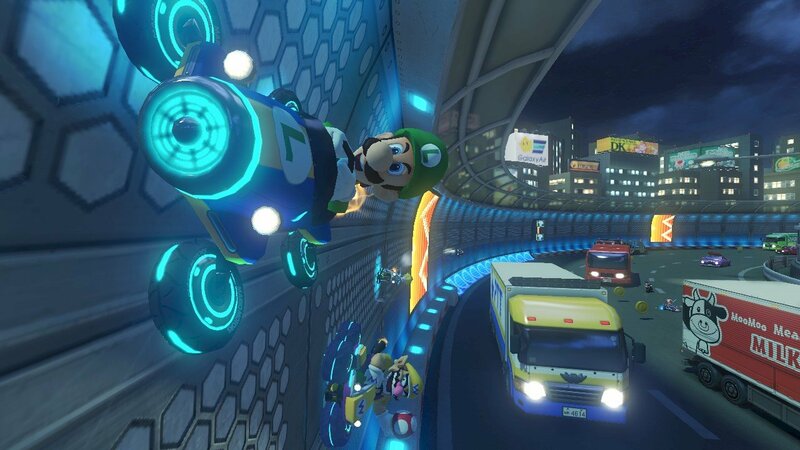 If you manage to smash into someone will floating around, you can gain Spin Turbo, which should make for plenty of jostling during those sections. 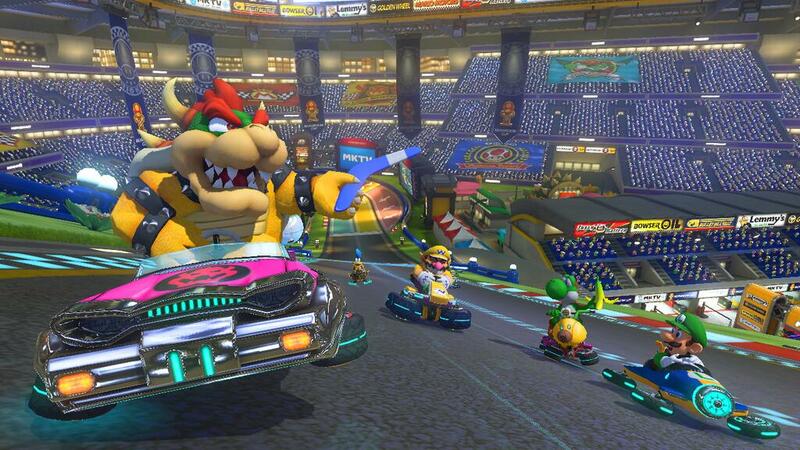 The Boomerang Flower and Piranha Plant will be at your disposal when Mario Kart 8 arrives on Wii U,” the company said. 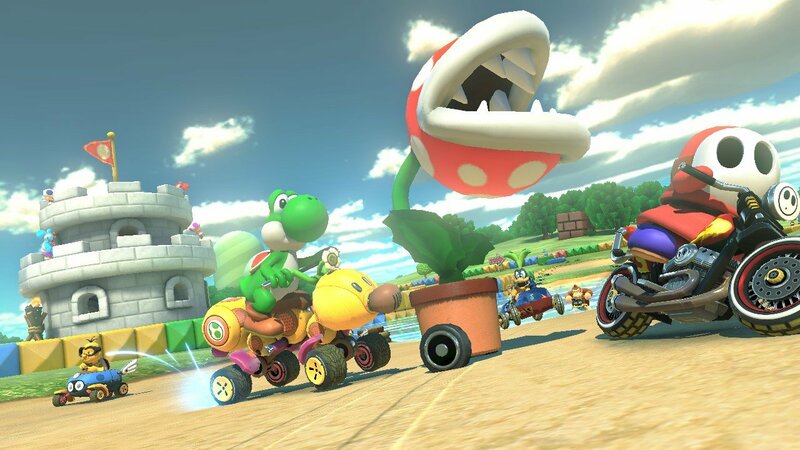 Speaking of items, according to Gamespot, game director Kosuke Yabuki confirmed that players will be able to set custom item selections, as in Mario Kart 7 – blocking one kind of item, only having one kind of item, or banning them completely. Over on CVG, some of the racer’s 32 tracks have been listed, including Shy Guy Falls, which sees players building up anti-grav power to race right up one of its many waterfalls. There’s also Mario Circuit, Mario Kart Stadium, Sweet Sweet Canyon, Thwomp Ruins, Sunshine Airport, Bone Dry Ruins, Cloudtop Cruise, Dolphin Shoals, Toad Harbor and Twisted Mansion. Over on Nintendo Life, the guys have been playing through four cups, starting with the classic Mushroom Cup that includes Mario Kart Stadium, Water Park, Sweet Sweet Canyon and Thwomp Ruins. They reckon the tracks are fairly simple to navigate, but the game eases you in with a few blue anti-grav markers. Simply drive over one to make your ride drive along sheer walls or upside down. 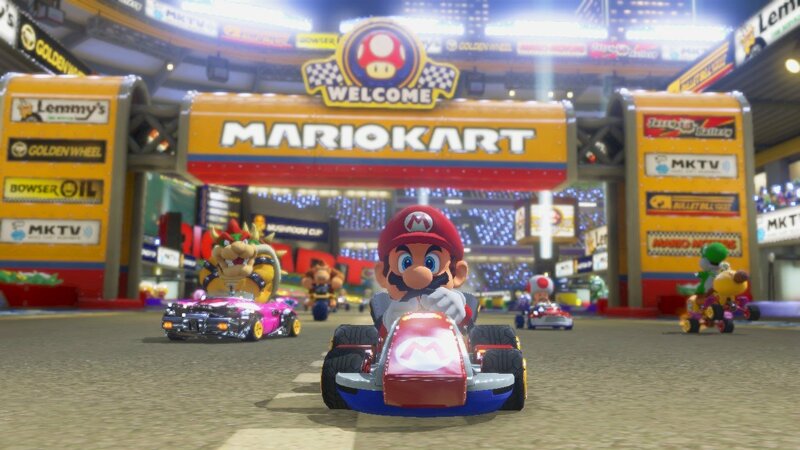 Water Park also includes underwater driving, as seen in Mario Kart 7, while Sweet Sweet Canyon has flying sections. It sounds like you’re going to be jumping between play styles often. The tracks are said to ramp up considerably with new routes and challenges as you progress through Flower Cup, so it doesn’t seem all that simple. It’s also locked at 60FPS in single and two-player multiplayer. Anything higher is said to see frame-rate dips. Not bad. 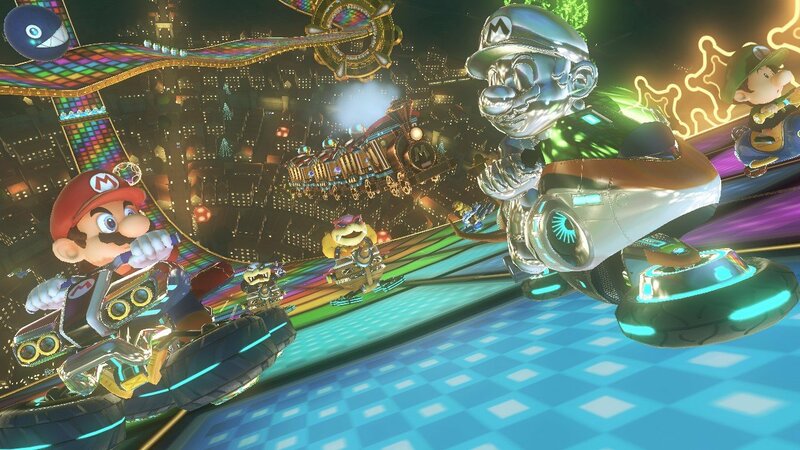 Destructoid calls Mario Kart 8 “stunning and fierce in HD,” and adds, “The graphics are crisp, detailed, and very dense in design, and not to mention this game runs at a rock solid 60FPS and at 720p — which not only benefits the gameplay, but also the visuals. 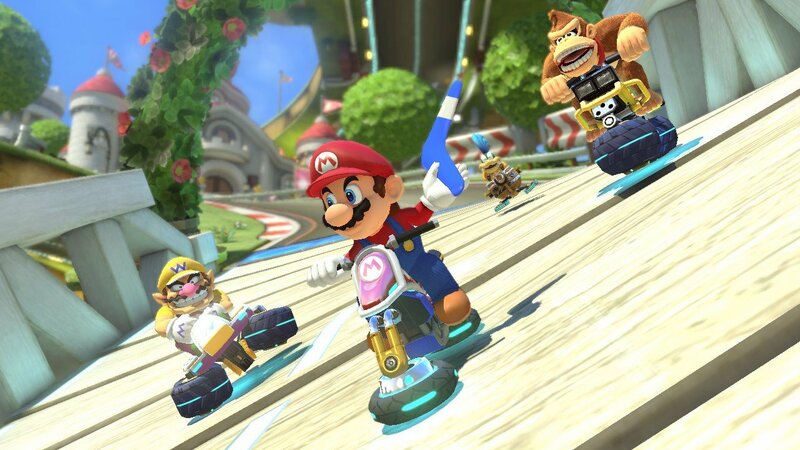 We’ll have our own impressions on Mario Kart 8 soon, but for now, check out some of the previews and see what you think. 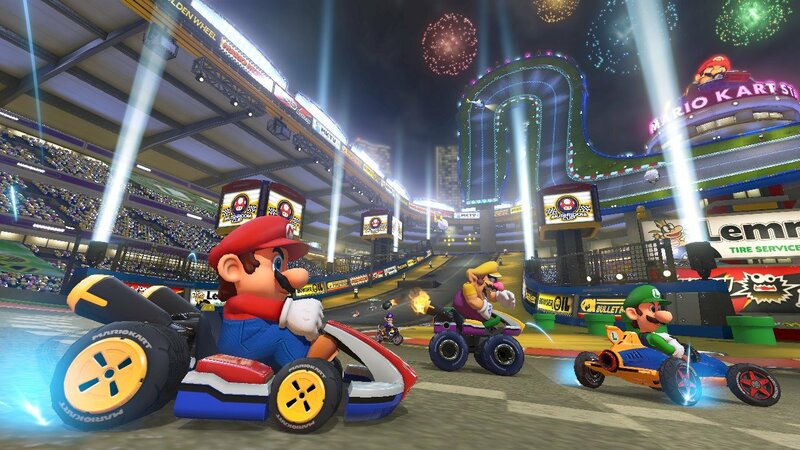 Mario Kart 8 is out May 30.